What are the gift cards for? 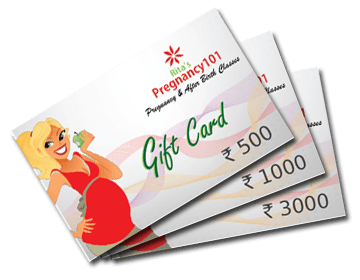 The gift card can be used to pay for the prenatal or postnatal membership fees at any of Rita’s Pregnancy 101 centres across India. You can also use the gift cards to purchase our unique and carefully choosen merchandise at any of our centres. Call +91 9925 104 024 or fill up the form to buy Gift Card. Can the gift cards be sent to my loved one directly? Yes. We can courier the gift cards directly to your loved one. You can also give us your best wishes message or note that you would like to include with the gift cards.